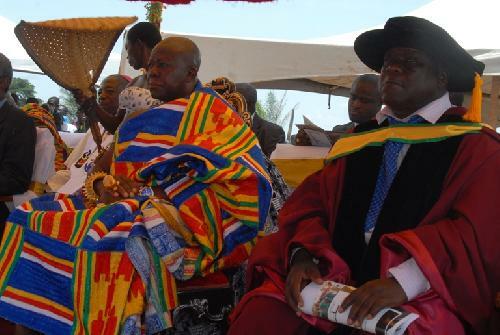 Asantehene Attends Osei Tutu II College's 36th Anniversary and 1st Speech and Prize-Giving Day Otumfuo Osei Tutu II, Asantehene has formally accepted the former Tetrem Agricultural Secondary School to be named after him - Otumfuo Osei Tutu II College. The then Tetrem Agricultural secondary school was established in1975, by some visionary and education minded individuals in Tetrem township. The main course of study was Agricultural Science biased, since the people in the community were mainly cocoa farmers. Among the motivating factors that moved the visionaries to establish the school was the fact that, there was no secondary school within the Afigya area. As such, children in Tetrem had to travel far to attend secondary school after middle school. Again, there was the need to raise agricultural extension technology. The school started with 25 students, twenty - two boys and three girls. It had five teaching staff including the headmaster. Tetrem Agric secondary school was absorbed by government on 10th October, 1977 and the name changed to Tetrem secondary school (TOPTESS).In effect the Agric school was dissolved and as such both first and second year students had to restart from form one in the secondary school. This transitional arrangement did not go down well with some of the students and this led them to leave school. After this, the student population was 70, out of this 10 students came from Accra. 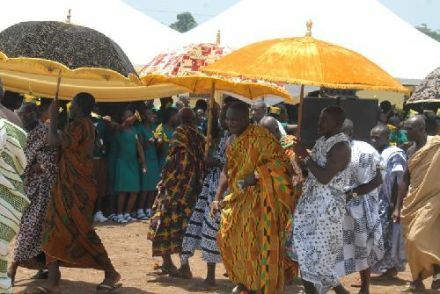 Speaking at the inauguration of the name of the school, Otumfuo Osei Tutu II, Asantehene expressed his appreciation to those who have dauntless attributed to make the school reach where it is now. He noted that it is education that helps in the development of a nation. That is why he established Otumfuo Education Fund to help those brilliant but needy students. The Asantehene pointed out that, a lot of financial contributions came from companies that assisted the fund to accomplish its programmes. Regrettably, the contributions from people in the region including traditional rulers never came. He said, he considered the fund as very precious to him, and therefore, continued to lodge all monies that he receives into the accounts of the fund. 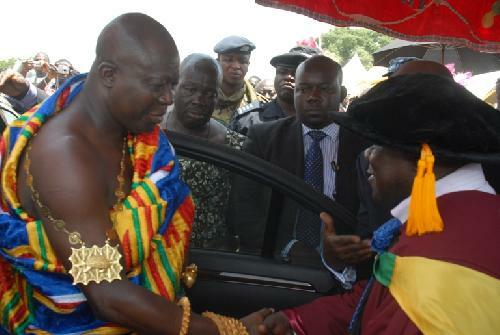 Otumfuo Osei Tutu appealed to the people from the area to help put up infrastructural development to enable the over 1,200 students get a school library, a dining hall and a number of classroom blocks, among other projects. 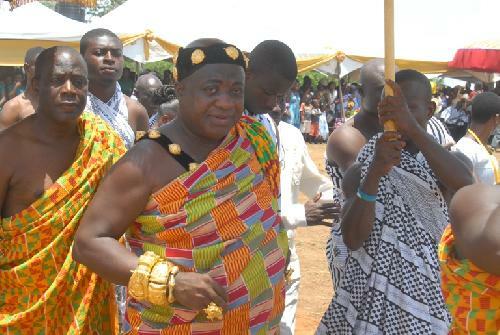 Otumfuo later unveiled the statue of himself, which had been erected infront of the administrative block. Mr. Samuel Okoba Gyasi, Headmaster of the school in his report disclosed that in December 2006, the Tetrem traditional council, the Board of Governors and the member of parliament, Hon. Albert Kan Dapaah, reading through the history of Asanteman thought it wise to name the only second cycle institution in Afigya, Tetrem secondary school, after His Royal Majesty Otumfuo Osei Tutu II, Asantehene. He said the school has a teaching and non-teaching staff population of 57 and 50 respectively, making a total of 107, out of which 82 are male and 25 female. 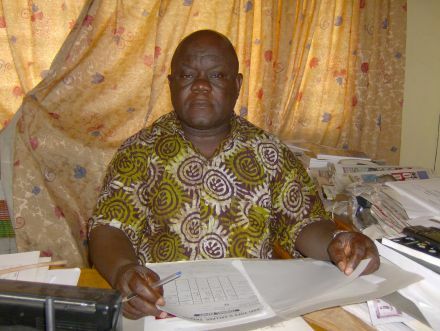 The Headmaster said, in 2008/2009 academic year, of the 194 candidates that were presented for WASSCE, one was absent, 192 passed in 7 or more subjects and only one passed in 6 subjects, adding all qualified to enter tertiary institutions. He said, the agricultural department harvested 15 bags of maize and 3 bags of cowpea last year. In addition, plantain was harvested from the school farm and all proceeds were sold to the school at affordable prices and the food was used to feed the students. 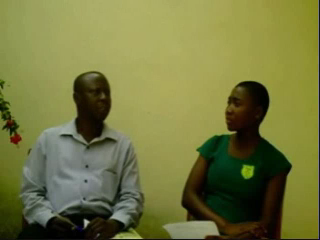 The headmaster said, plans are far advanced to incorporate livestock rearing i.e. sheep and goats in addition to the few rabbits being kept under the intensive system. 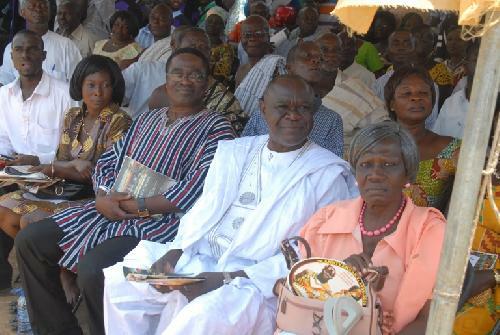 He said, the challenges facing the school include, lack of a science laboratory, therefore, students have to travel to Dwamena Akenten SHS at Offinso twice a week for their practical, lack of a computer laboratory and a library with a limited sitting capacity of 25 as well as a lack of an available standby generator. Among those present was Mr. Kwame Mpianim, An Economist. Most dreams of Hon. Ekuoba Gyasi were established during our tenure of office, it made our administration smooth and comfortable at the later part. 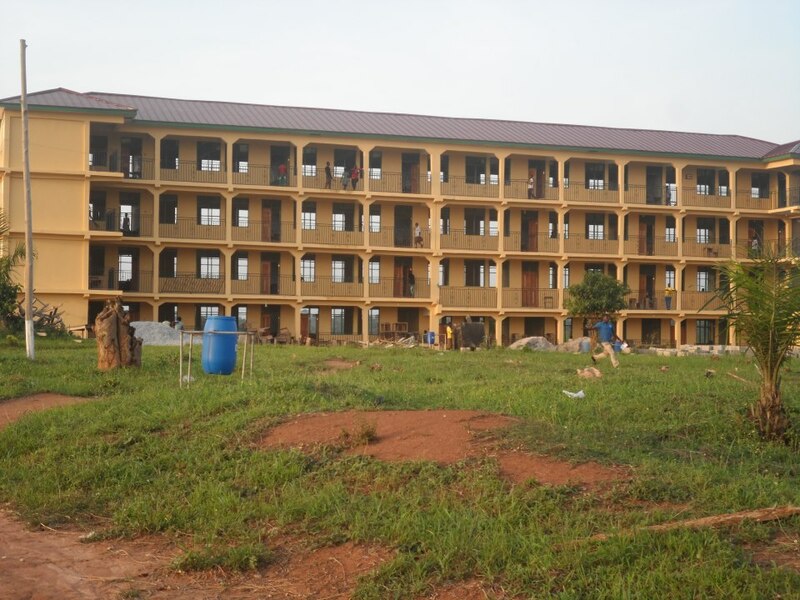 Construction of new classrooms, desks, computer laboratory, science laboratory, dining hall, new boys’ and girls’ dormitory, and a whole lots of development. Evacuation to the new site was the most important thing that students were much happy about. Movement from the old site to new site come rain or sun and other complications associated with the old site resident were erratic supply of water, inadequate prep. and dining hall, lack of befitted dormitories, difficulties in organizing students, etc made our studies difficult. The mouth piece of students, S.R.C wishes to congratulate our noble Headmaster, Mr. Ekuoba Gyasi Samuel for his support during 2009-2011 academic year, much support and assistance were received by the S.R.C and the Prefectorial Board. 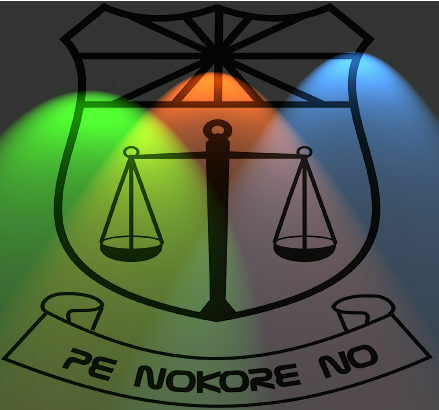 The Board of Governor, Academic Board, Teaching staff, non-teaching staff and other stakeholders of the Osei Tutu II College also helped in diverse ways to uplift the image of this great school notwithstanding the initial difficulties of the school, all the above mentioned bodies contributed a lot. Mr. Ekuoba, the development father of Great Osec, the students and all past students wish you long life and a great life time!! !! AN INTERVIEW WITH ASSIT. HEADMASTER.